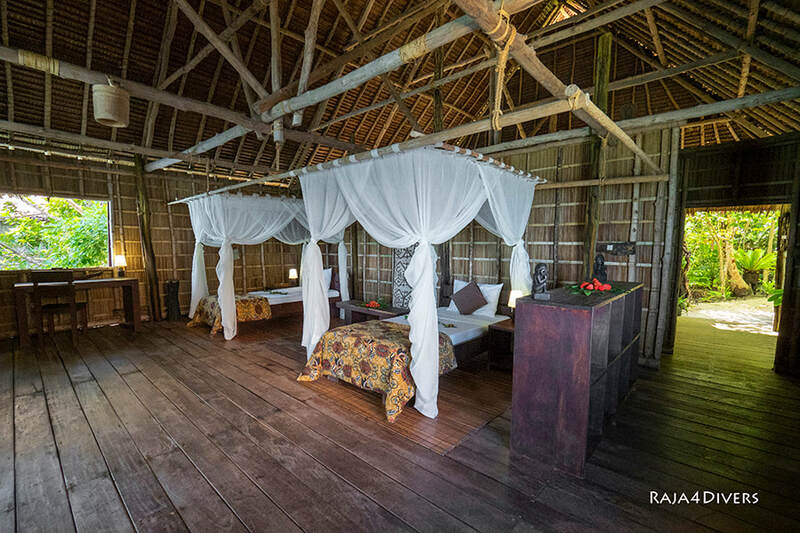 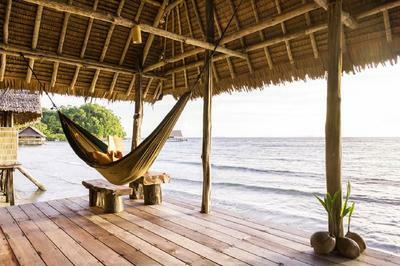 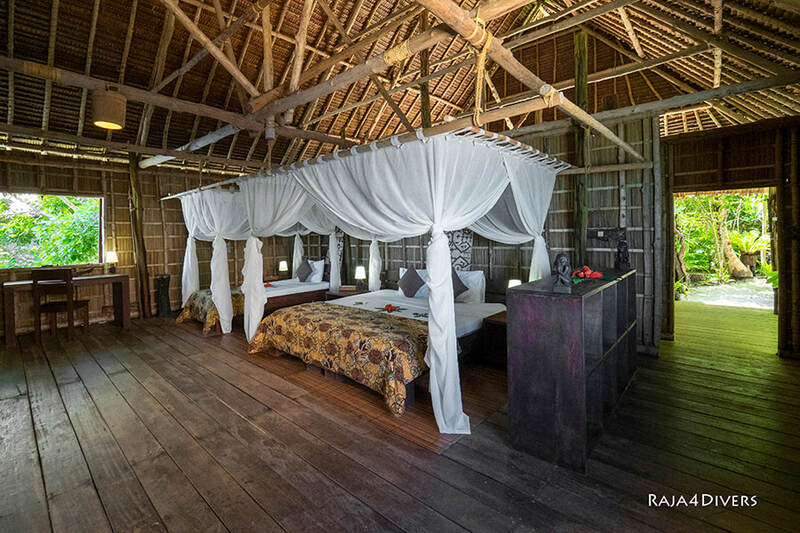 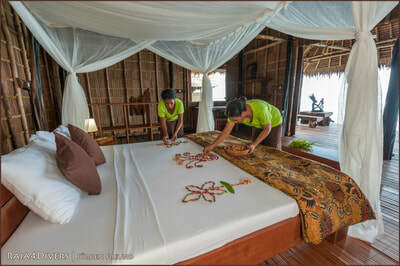 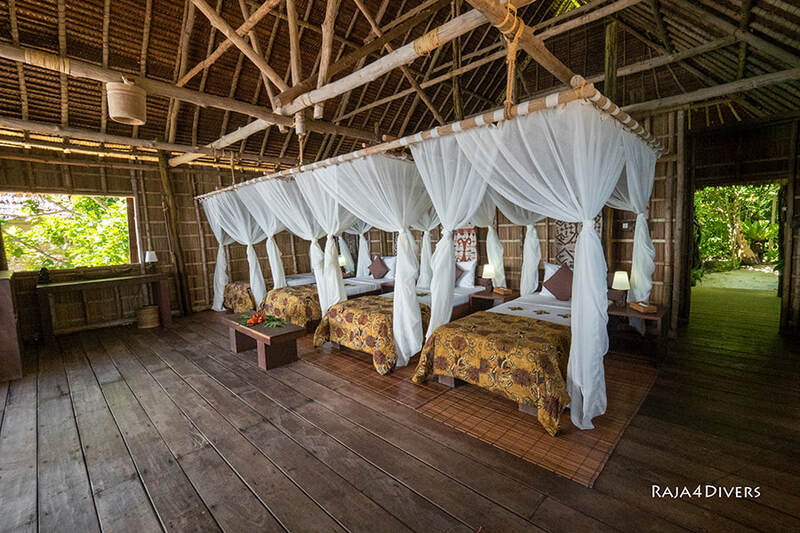 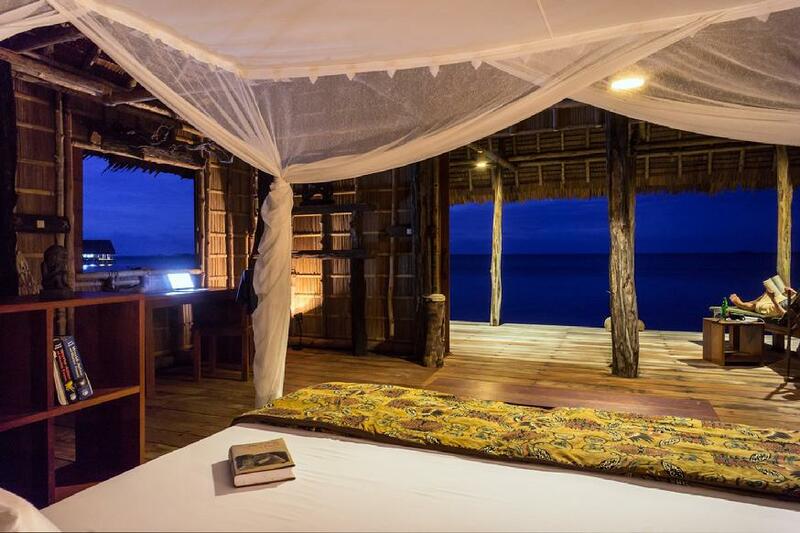 Along a beautiful coconut palm fringed beach, 10 spacious and authentic Papuan style water bungalows for 1 -4 persons were built on stilts with local materials. 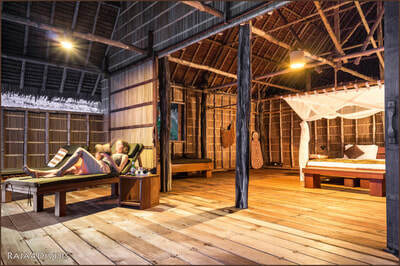 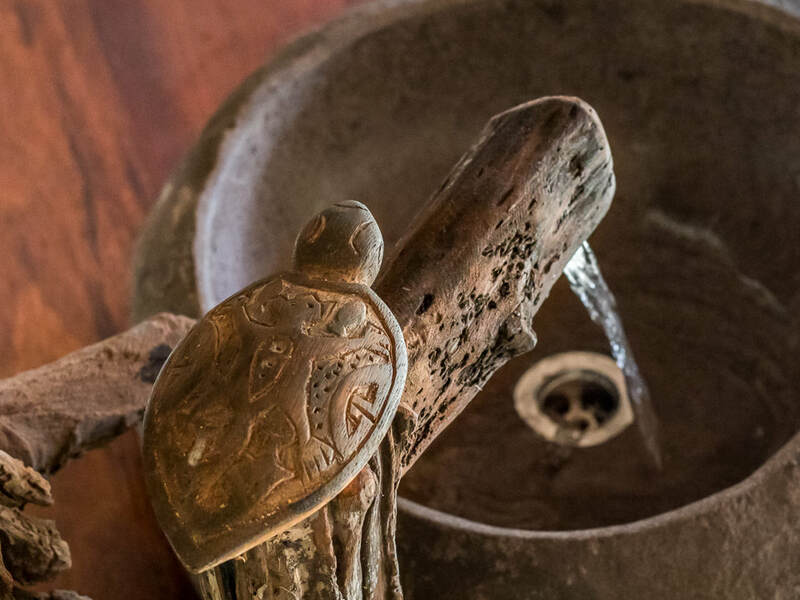 The design relies on proven traditional building methods and blends with modern ideas in order to maximize the airflow and promote well-being, without compromising the natural surroundings. All the appealing furniture and the beautiful fittings are designed and created on site. 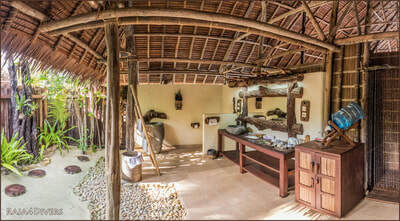 Each morning is a treat with the sounds of exotic jungle birds in the forest off the beach. 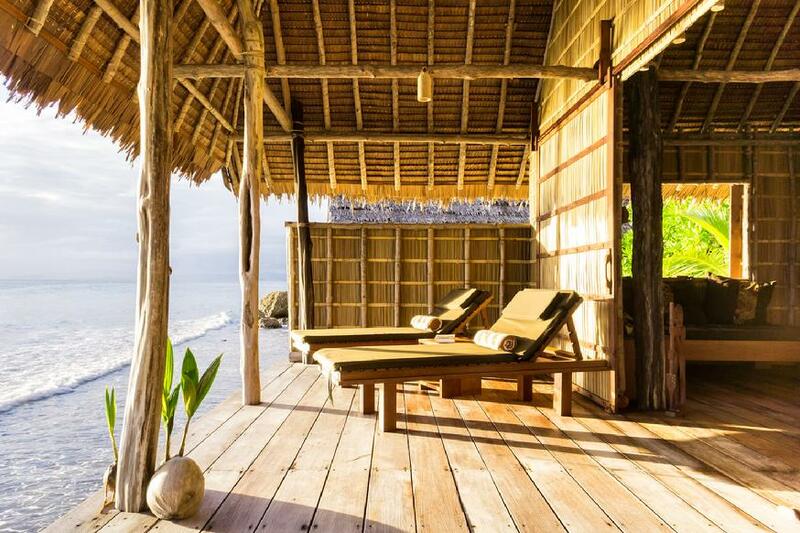 The large deck offers spectacular views particularly at sunset - an inescapable sense of being one with nature. 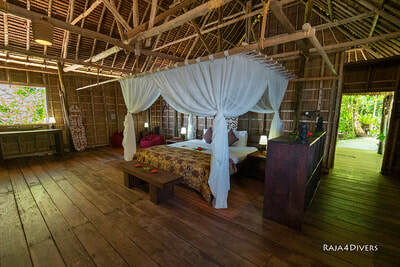 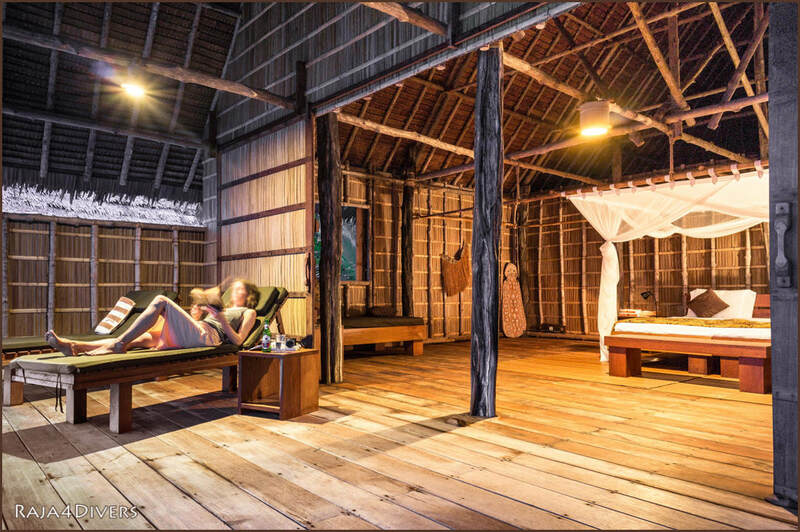 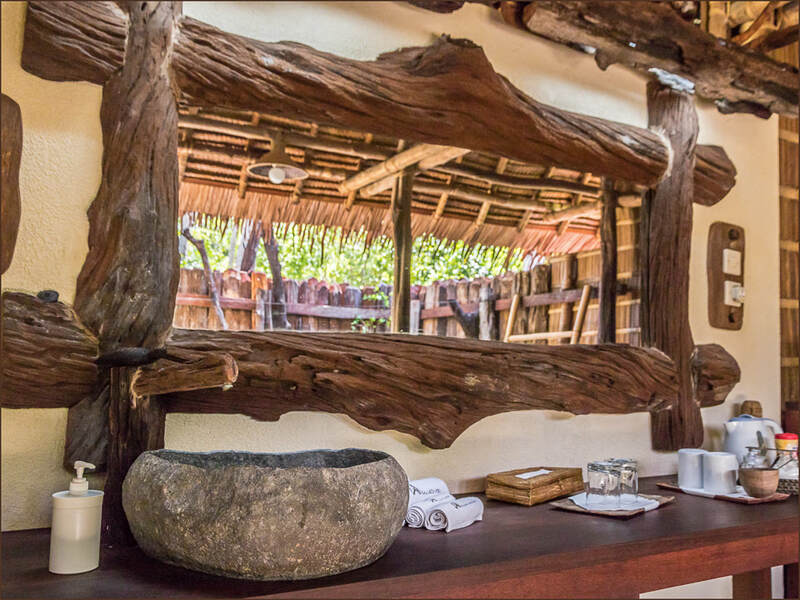 All of the luxury bungalows have a huge indoor / outdoor en suite bathroom and are equipped with fridge, water dispenser, tea & coffee, bath & swimming towels, soap & shampoo, mosquito repellent, huge beds with mosquito nets, safe, international adapter, WiFi, iPad and multiple plug for you to charge your electronics. 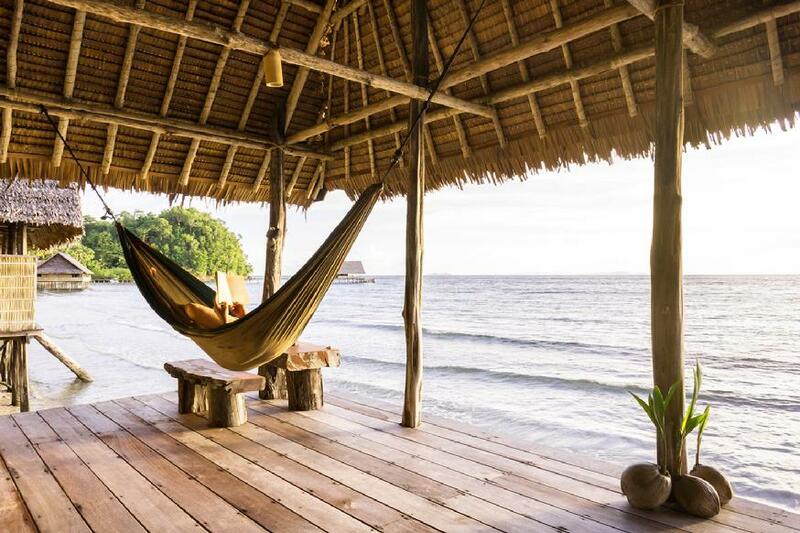 On the large deck you will find sun loungers, hammock, bean bags and steps into the water.